I am a UKCP registered intergrative psychotherapist with 25 years of experience working within organisations and independently. I provide assessment, short-term and on-going therapeutic work in a warm, creative and confidential environment that has the client at the centre of the work. My training was Integrative and my work is particularly informed by humanistic, existential, psychodynamic, attachment and bodywork theories. I am currently developing a new understanding of how our early attachments influence who we are today. I see the relationship between the client and the therapist as being at the centre of the work, respecting each person’s individual values, beliefs, choices and hopes and I aim to create together a unique and safe therapeutic space. I also have a wealth of experience working alongside individuals and families living with life threatening illness, death and bereavement that often reawakes a variety of unresolved issues. I currently work in both private and voluntary services. Contact Jane for session rate. 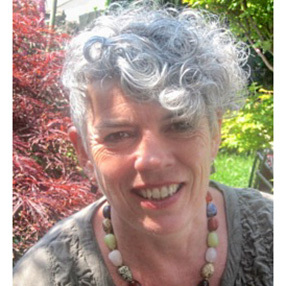 Jane is a highly experienced, motivated and versatile counsellor, psychotherapist and supervisor with 25 years working as a therapist and 15 years as a supervisor working in a range of settings and particularly within the health and social care voluntary sector. I provide a supportive, collaborative and exploratory space for therapists to bring their work. I abide by the BACP and UKCP codes of ethics and practice.